Win McNamee/Getty ImagesMarco Rubio is voicing his support for Chick-fil-A. Twitter and Square CEOJack Dorsey ignited a backlash online for posting that he had eaten at Chick-fil-A during Pride Month. 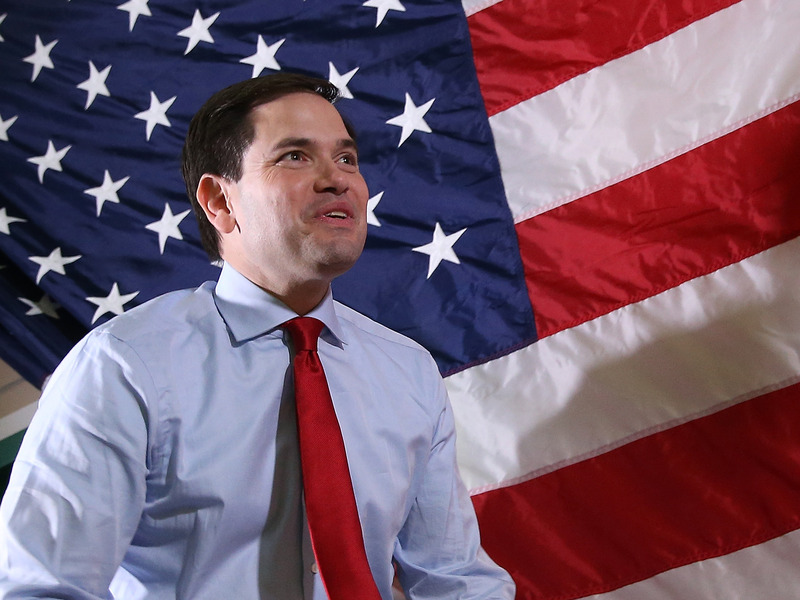 Republican Sen. Marco Rubio has now publicly taken a stand to support Chick-fil-A. “This time, the PC police have gone too far,” reads a fundraising email that was sent from Rubio to supporters on Wednesday. Republican Sen. Marco Rubio is entering the latest Chick-fil-A controversy. Last weekend, Twitter CEO Jack Dorsey was criticised after posting a screenshot of a Chick-fil-A order to Twitter. Facing backlash for posting about eating at the fast-food chain during Pride Month, Dorsey said he “completely forgot” about the company’s background and its executives’ history of opposition to gay marriage. This apology rubbed many on the right the wrong way. “This lunacy has gone too far,” Rubio tweeted on Monday. In 2012, Chick-fil-A CEO Dan Cathy sparked controversy when he told the Baptist Press that the company was “guilty as charged” for backing “the biblical definition of the family unit.” Reports soon emerged detailing Chick-fil-A’s many charitable donations to anti-LGBTQ organisations. Since 2012, Chick-fil-A has halted donations to nearly all organisations that have been criticised as anti-LGBTQ. The company has purposefully moved away from politics, asking franchisees in 2017 to avoid making public political statements. On Wednesday, Rubio waded further into the latest Chick-fil-A controversy, sending out an email to supporters saying that he is “standing by Chick-fil-A,” CNN’s David Wright reported. Chick-fil-A did not respond to Business Insider’s request for comment on Rubio “standing by” the chain.